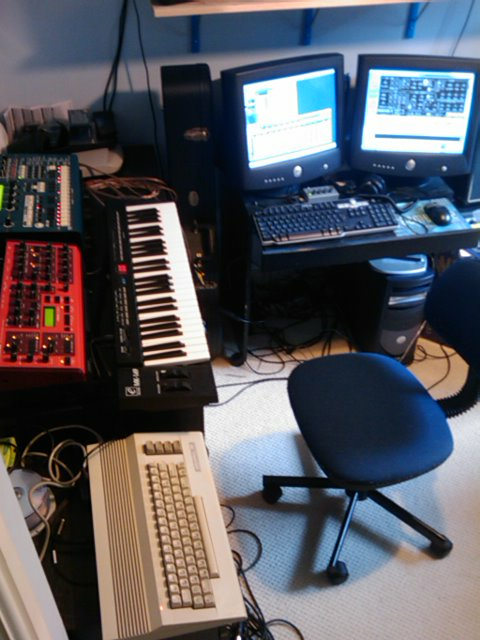 C64C - Complete with MSSIAH, of course. This connects to the PC with a USB video capture device. Virus Classic - A really, really great synth. My PC - Fairly low spec P4 running Cubase SX3. You can also see my new headphone amp between the two screens, only £20! The Virus and RM1x are sat on a Sony MD-JE640 Minidisc Deck and Cambridge A3 amp respectively. 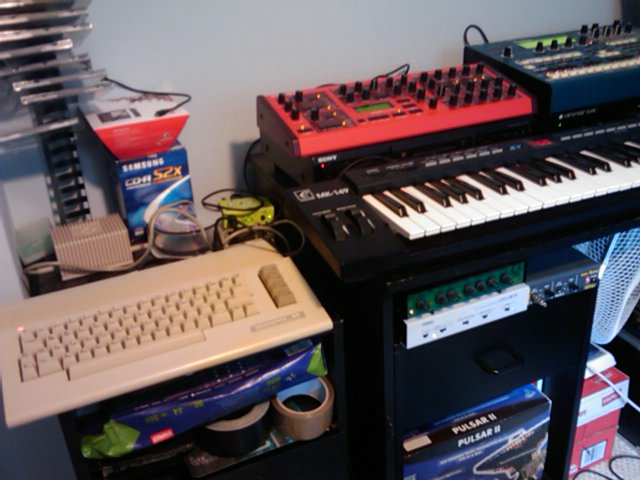 You can see the green MAudio Midisport 2x2 behind the C64C. Underneeth is a JoeMeek VC3Q, a great sounding compressor/preamp. My latest edition, the 1541 Ultimate. I put tube shrink wrap on mine to protect it, seems to work well!